I present the Grinch! My family always makes the classic Toll House chocolate chip cookies around the holidays. I love them! They’re delicious. They’re great. However, I was looking to turn up the creativity a few notches. 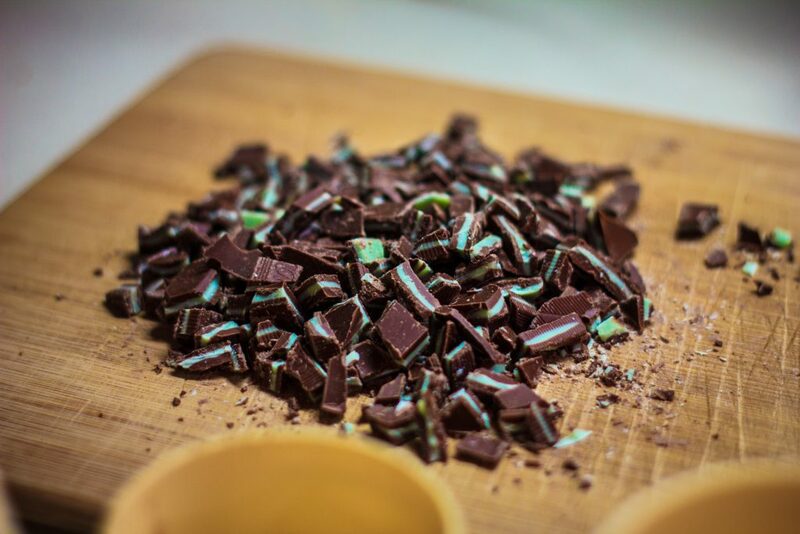 One of my favorite flavor combinations for sweets is chocolate and mint, so I figured I’d combine the two. 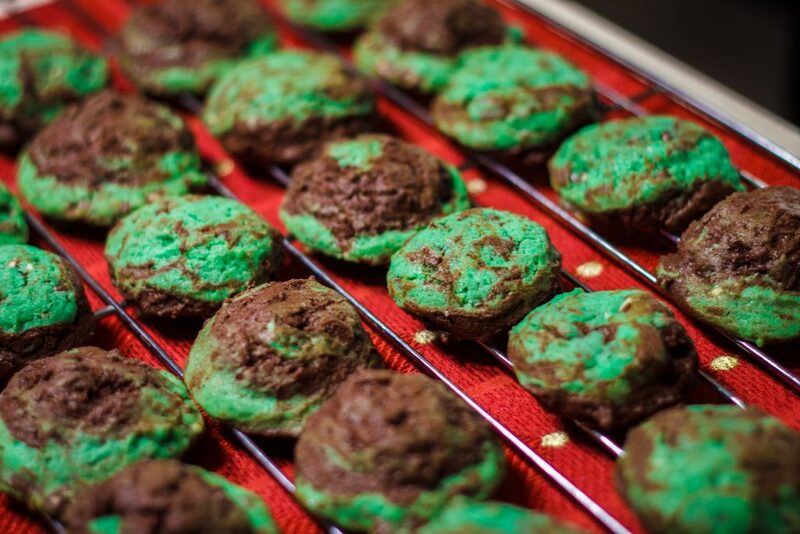 I didn’t want to call them Mint Chocolate Toll House Chocolate Chip & Andes Mints Cookies so I posted a challenge to Facebook to come up with a creative name that hopefully wasn’t too many syllables. The winner went to Mr. Rob Walker who suggested simply calling them “Grinches”. It’s fitting, one syllable, and adds to the holiday theme. Slam dunk! 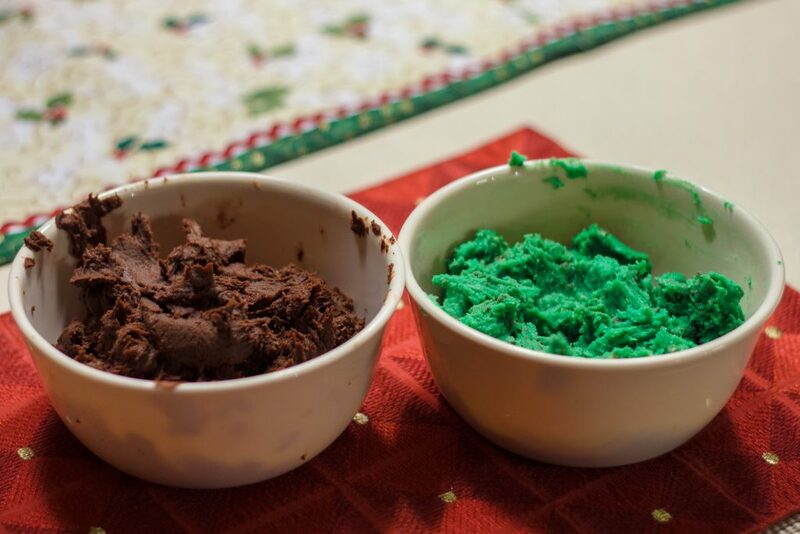 I have the ingredients for the batter split into the chocolate side and mint side, but additionally split into dry ingredients (top) and wet ingredients (bottom). Combine flour, baking soda, salt, and set aside. 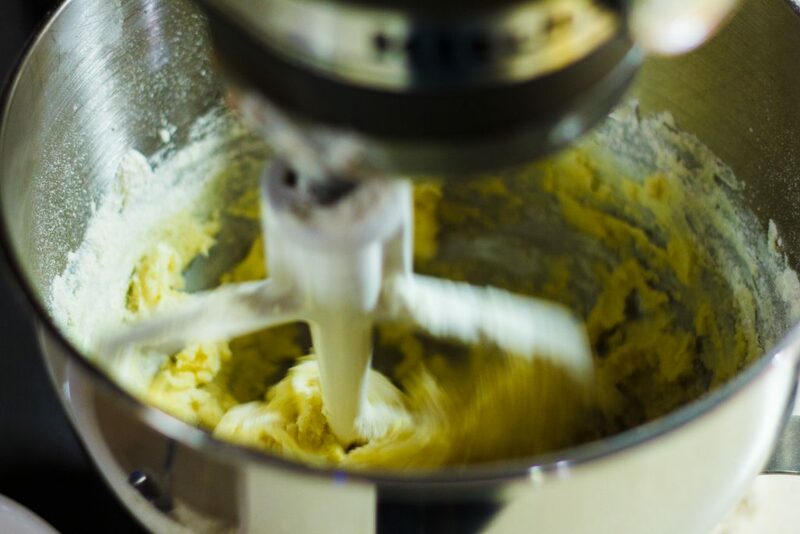 Cream together softened butter, sugars, and extracts. Add dry mixture slowly and mix well. 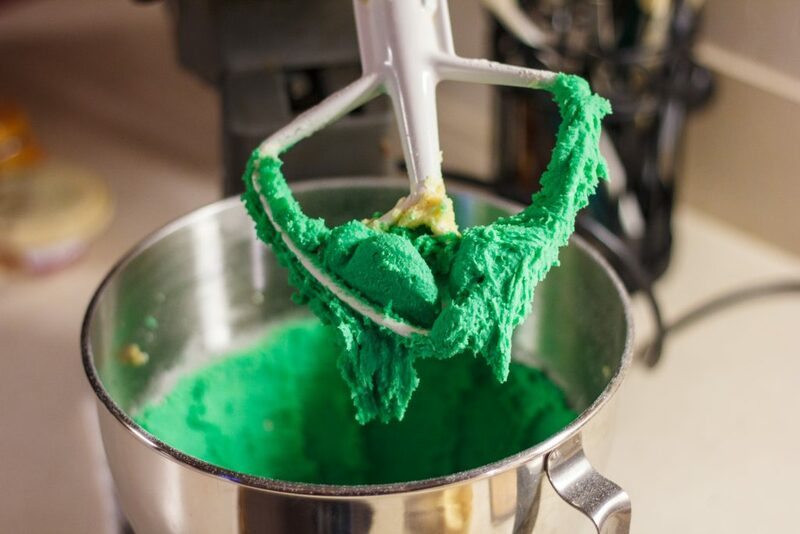 For the mint batter, add the food dye at this point. Depending on the dye and how nuclear you want it to look, how much you need will vary. 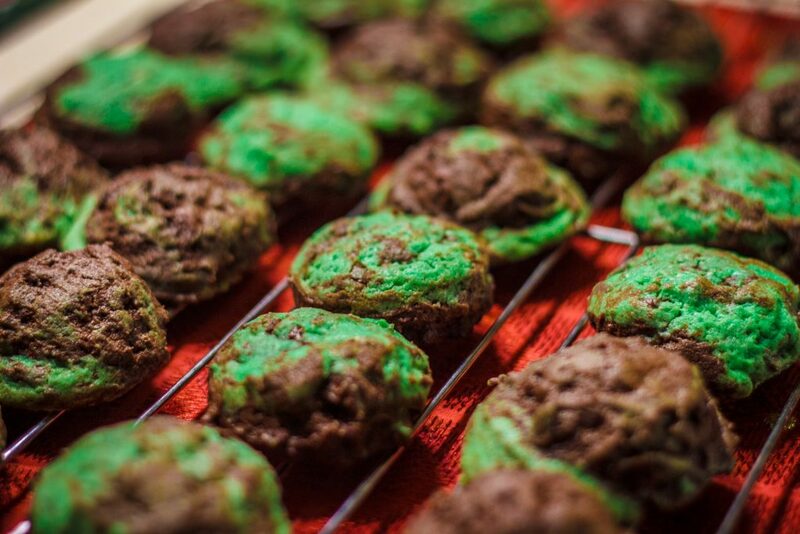 For the cookies in the photographs, it took about 15 green drops. Add chocolate chips or Andes chips. Note: Careful with the Andes chips. Mix them as lightly as you can to get them fully incorporated. They pulverize pretty easily. Combine 50/50 from bowl A/B then B/A. 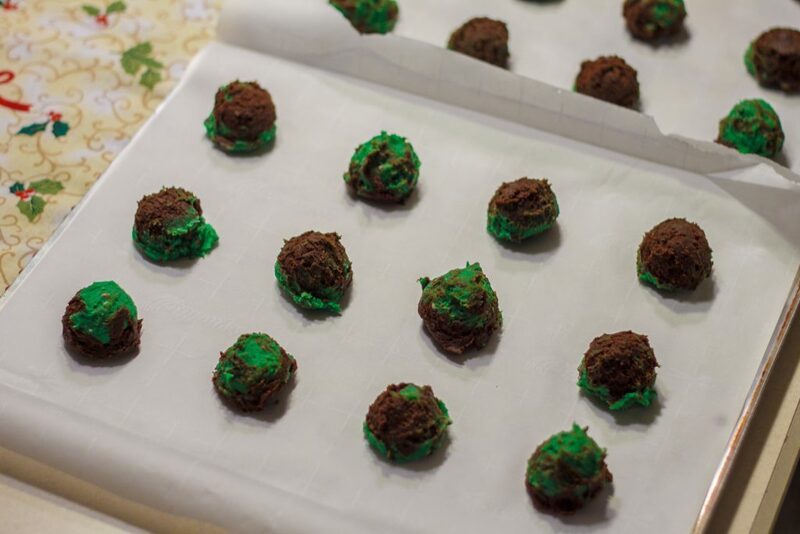 Drop by scoop or rounded teaspoon on parchment paper on thin cookie sheet. Bake for 8-12 minutes. Bottom edges should just be getting some color. Keep a close eye on them after the 8 minute mark! Enjoy! These always get people talking when you bring them over!